Yelp Says Solicited Reviews are Bad. Are They? 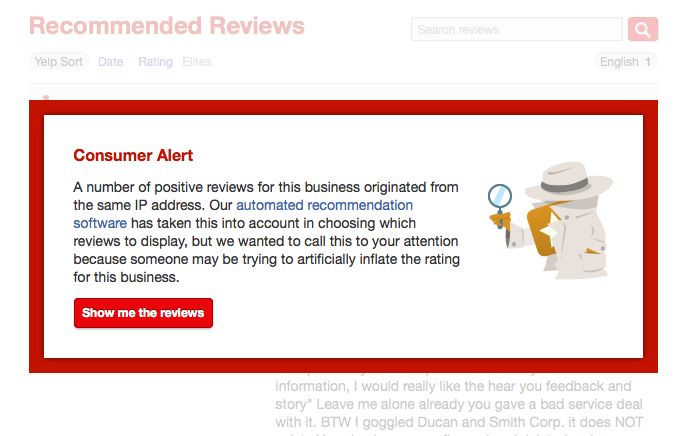 Yelp doesn’t want you soliciting reviews for your business. They have good reason, but does that mean all solicited reviews are bad? We weigh the pros and cons here and provide our best suggestions to get more reviews for your business. If your business is on Yelp, you’re probably already very familiar with how strict they are about the way their reviews are created. They like to control where and who they come from. One of the things that set Yelp apart in its earliest days was how legitimate the reviews on their platform were. Getting a high star-rating on Yelp was (and still is) something to be proud of. It was argued that a Yelp rating was based on the most objective, unbiased reviewers around. How does Yelp Define Solicited Reviews? Yelp’s early trustworthiness came from its strict policies. However, in recent years, Yelp went from frowning on solicited reviews to completely outlawing them. But what does it mean exactly for reviews to be solicited? Yelp claims that the key to the quality of their reviews and lack of bias is their ability to filter out reviews that appeared to have been solicited in one way or another. Over the last few years, Yelp has made their stance on solicited reviews much more clear and stepped up their enforcement against solicited reviews. Essentially, according to Yelp, “asking for reviews” is solicitation. They use the broadest possible definition. Yelp also warns and advocates strongly against any and all forms of solicitation. To many business people who grew up before social media, the idea of avoiding asking your customers to tell others about their experience with your business is extremely counter-intuitive. Word-of-mouth marketing has always been the most effective. Since reviews and recommendations on social media platforms are now like the new word-of-mouth, it makes sense to extend this logic to asking for online reviews. Why Does Yelp Discourage You From Soliciting? All of this begs the simple question: Why does Yelp discourage soliciting reviews when their whole platform depends on reviews? It boils down to a matter of fairness. Yelp wants businesses of all sizes and budgets to compete on a level playing field. 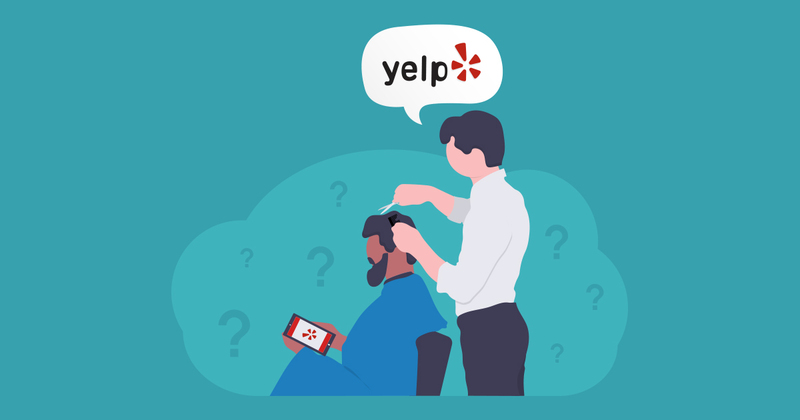 If consumers were left only to compare between the businesses that heavily solicited reviews versus those who didn’t at all, the choices — Yelp claims — would slant toward those who solicited good reviews. They believe that by banning solicited reviews, businesses have a more even playing field to compete on and consumers have more informed choices. Should you Stop Soliciting Reviews? Is a level playing field and better choices accomplished simply by avoiding solicitation? Yelp makes some very valid points. They cite some truly negative consumer experiences revolving around heavy solicitation of reviews. One moving company even pushed their customer, saying they’d get a discount and speedier service if they wrote a review — in front of them! Other heavy-handed tactics, like paying for reviews or offering discounts or freebies for reviews, can also lead to very shallowly-written reviews which means less value to other potential customers who read those reviews. The final concern is that Yelp itself has many tools at hand for punishing business listings on their site if they notice a trend for solicitation. They could put a consumer alert on your page, or go as far as banning your business. So if your business is on Yelp and benefits from those reviews, it would be very prudent to consider carefully your position on Yelp. But does that mean that you should stop soliciting reviews completely? We don’t think so. At the core, online reviews are simply a way of distributing an age-old cornerstone of being a good business owner: encouraging word-of-mouth referrals. Online reviews are a public place where consumers discuss your reputation in the marketplace. The new Facebook recommendation features are meant to literally function as word-of-mouth marketing. These two conclusions together suggest that if a business does not solicit reviews, then their ratings will come more often from dissatisfied users resulting in lower overall ratings. Soliciting reviews is how businesses get their word-of-mouth marketing to additional audiences. It also helps make their reviews and ratings more accurately represent the experience of more of their customers than if they had not solicited at all. Don’t ever pay for reviews. Don’t offer discounts or freebies for reviews. This type of solicitation is a bad customer experience. It’s a bad practice. And, it will generate a distrust in your reviews. Better service is the number one way to get better reviews. We’ve written about this a bit. Whether it’s building better habits for your business or responding constructively to negative feedback, your online and offline practices and reputation are what drive your ratings and reviews. Ironically, Yelp has great printed material for you to use for asking for reviews. Use Yelp’s print materials to show that you’re on Yelp. Savvy customers know exactly what that means when they see it: please leave us a kind review! They also provide you with a digital badge to include on your website so people know to find your business on Yelp. Those are found in the Review Badges section of your Yelp Biz dashboard. If you sell products or services online, set up a post-purchase follow-up like in this tutorial by MailChimp. Make sure that follow-up provides users a way to contact you directly as well as a simple ask to provide their honest feedback on Yelp. Yelp doesn’t say anything specifically about not including the digital badge in your email. So if you use an HTML email layout, you can subtly include your badge as well. Make it very easy for your customers to contact you. If they have feedback, don’t let them think of social media first. Make it known that you’re open for feedback. Use a big contact form that you reply to daily. When they give really good feedback there and kind words, give them an encouragement to say the same thing on a social platform. This is then much more like converting an organic, self-motivated review into an official Google, Facebook, or Yelp review. No matter what Yelp or other platforms might say, these are your customers and your reviews. Take that relationship seriously by encouraging feedback and responding constructively to criticism and praise at all times. Your honest and personable relationship with your customers online and off is the crux of all good ratings and reviews regardless of whether they are solicited or not.